How does an author with a normal life find the time to write? An interesting thing happened to Time with the advent of the internet and the information age. We discovered time was relative, that the more information and ‘connection’ we add to the general knowledge base of humanity, the faster time seems to move, and the less time we seem to have. How does that work? Quantum physics explains it one way, psychologists or mathematicians another. The world’s body of knowledge is doubling at least 2X every 24 hours. That is a daunting thought and makes me feel very tiny, like a single water molecule in all the oceans on earth. With so much information and opportunity out there to know, learn, experience and do, and the means to do it, we often find ourselves suffering from sensory and information overload. On the other hand, with everything I ever wanted to know at my fingertips, I’ve also made the delightful discovery that I am a ‘generalist’ rather than a ‘specialist’. I am happiest when I can take in vast quantities of information, collate it, find a cohesive center that pulls it all together and write it down or use it, and have found an outlet for it in creative writing. But with so much fascinating information out there, I spend far too much time just exploring the web in science, biology, medicine, technology, engineering, education, conservation, space exploration, nutrition, alternative ‘everything’, permaculture, energy, the list goes on and on. I caught myself early this morning being lured onto the web, wishing for even more hours in the day because there are just too many interesting and wonder-filled things ‘happy-ning out there’ and I was falling behind! Then I had a reality check—lam (laughing at myself), relaxed, breathed in and out to focus on the current top 10 most important ‘things’ of the day, reminding myself that there is no way to ‘know or experience it all’ or apply it, even if I could invent a way to have a direct brain feed plugged into the ‘internet of things’. …So, back to writing…the phone rang—someone who wanted to ‘talk to me early, before I got busy with my day.” I had to answer the ring quick-fast because I’d forgotten to reset the answering machine and the family was still asleep. Though I was pleased to talk with my friend, there went another twenty minutes. Then the neighbor’s pack of hunting dogs began their 6:30 wake-up-call-morning-ritual. I put in another 30 minutes of writing before the day truly started, but lost some of the ‘perfect’ flow of ideas that woke me early this morning—and I’ve found once those ‘first fruits’ aren’t honored, they disappear…and don’t return. 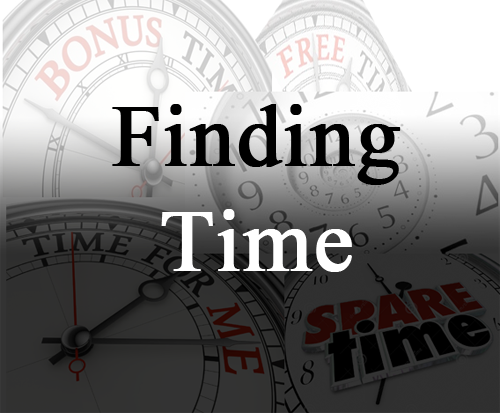 Finding time to write takes focus, choice and discipline. Though we have more free time every day than at any other time in human history, we also have more choices to fill that time: there’s taking care of family, chauffeuring to Dr.’s appointments, exercising, writing, chores, meditation, housekeeping, grocery shopping, cooking, lawn-home-garden maintenance, volunteering in community, occasional entertainment…and of course, bathing, trimming and playing with the dog. How do you fit it all in without going bonkers or wearing yourself out? The above quotes and tips are excellent advice…and if it works for you, Hallelujah. But linear ‘plans’ don’t often work for intuitives or ‘circulars’. So, be aware, there is cialis en andorre no ‘one way’—each writer must find their own ‘best’ way of securing time to write. Some require hours of solitude, while others can write brilliant prose in ten-minute breaks during the day, or dictating into a machine on the morning commute. For me, the trick to writing is to slow down, to slow time in my mind and heart until that quiet creative inner voice can be heard. I am a morning person, but I’ve found my best writing time to be after 10 p.m., after the house and neighborhood is bedded down and asleep. The quiet of an almost empty house settles me. No phones ringing off the wall, road noise or sirens, no TV, other people’s music, deliveries, the neighbors barking dogs, just blissful quiet. That’s when the ideas, dialogue and characters come to life again for me and flow, unobstructed. I find that two, three or four hours of an uninterrupted evening are more productive than snippets here and there at the beginning of or during a busy day. Perhaps I am not disciplined enough to shut out life and noise, or ignore or drop all that I’ve committed to, but it works for me, for now. So go forth and conquer. Find your own ‘best time and way’ to write, but do it, don’t just wish for or think about it. Your voice will offer the world a unique vision of “Story”, different from any other. I wish you every success in your creative endeavors. And, as always, thanks for visiting. Feel free to post positive comments, suggestions or questions, or share on your favorite social media.